One of our nicest rooms, deluxe 4 poster and spa bath with shower, tea/coffee facilities and TV. One of our best de luxe rooms, has spa bath with shower, tea/coffee facilities and TV. Premier Double sometimes limits bookings to 3 or more days. A non-smoking family-run hotel with family rooms, minimum age 5 years. Some rooms with 4-poster beds and spa bath and showers. 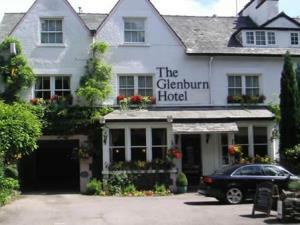 Great restaurant and bar plus free leisure club membership, just a few minutes walk from Windermere.